Sanctuary furniture, created from a churchÃ¢â¬â¢s old altar railing, wins the top prize in this yearÃ¢â¬â¢s Design Portfolio Awards. New furniture for the St. Peter & Paul church includes an altar, lectern, Bible stand and credence table. When St. Peter & Paul Church in Independence, WI, needed new sanctuary furniture, it looked no further than its own past. Jack Backman, owner of Backman Woodshop, salvaged the churchÃ¢â¬â¢s old altar railing for use in the new furniture. 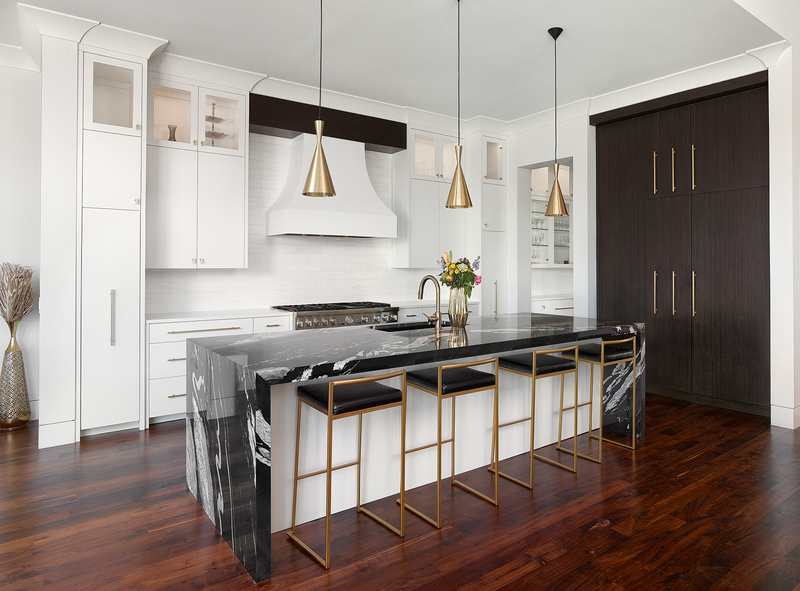 Ã¢â¬ÅThe biggest problem was to save as much of the old wood as possible and then make the new to match,Ã¢â¬? Backman says. The white oak rail had been stored in a barn for several years, and parts had rotted or been chewed by animals. In addition, the nails fastening the rail had rusted. Ã¢â¬ÅI spent hours just looking at the rail and trying to decide how to dismantle it without damaging what could be saved,Ã¢â¬? Backman says. After having the rail stripped and cleaned, he ultimately disassembled the original rail by driving wooden wedges into the joints. Saving the rail was further complicated by the fact that when it had been removed from the church several years earlier, it had been roughly cut from two sections into four with a chainsaw. In all, Backman says, Ã¢â¬ÅI spent as much time looking at it and thinking about how to do it as I did the actual work.Ã¢â¬? The church is itself an antique, built in 1895 as a replica of a church in Poland. The set of new furniture consisted of a lectern, Bible stand, credence table and altar. 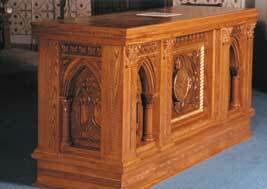 The original altar rail now forms the corner supports of the new furniture. 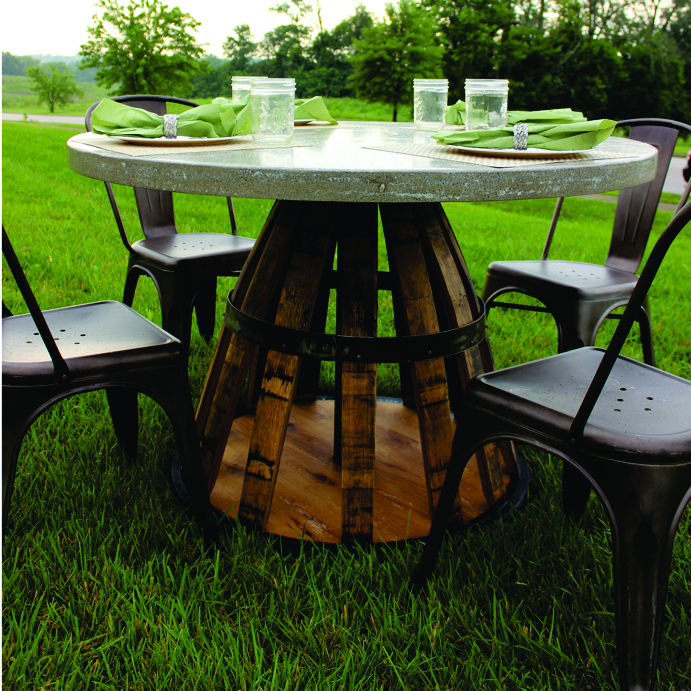 Backman created the sides and tops using a lathe and router. The altar is the largest piece and, at six weeks, was the most time-consuming to build. The other three pieces combined took three months. 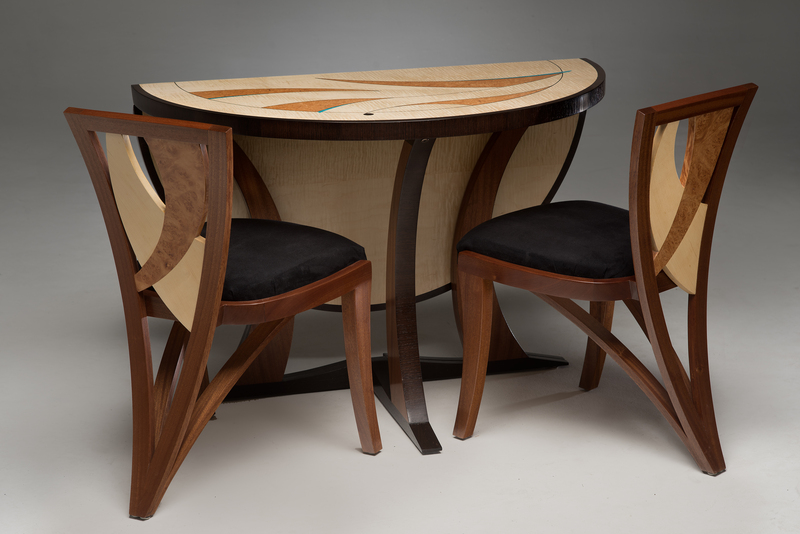 He designed the furniture in freehand drawings of pieces, Ã¢â¬Åsketching out how I thought they should be.Ã¢â¬? He then met with the priest for design approval. Actually producing the furniture was a more straightforward process. Backman turned spindles on a lathe and made templates to duplicate original pieces with his router. Carvings on the original rail were done in butternut. Backman was able to salvage most of the carvings from the rail. He enlisted the aid of Wheelock Associates in Fairfield, MN, to replicate the ones he couldnÃ¢â¬â¢t save. Those new carvings primarily decorate the altar; Backman saved enough original carvings for the other pieces.